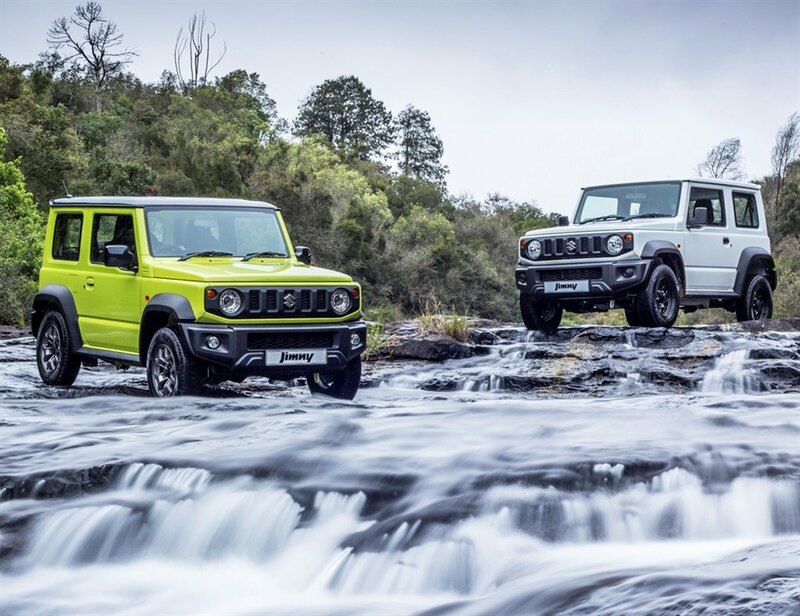 The 2018 Suzuki Jimny arrives here with the choice of two specification levels (GA and GLX), two transmission options (five speed manual and four speed automatic) and a host of made-for-adventure accessories. What is not optional, is the in-built off-road capability with ALLGRIP PRO mechanical shifting 4x2, 4x4 and 4x4 low range transfer case and the rigid ladder frame chassis. Wheels24's Janine Van der Post is attending the launch in Mpumalanga, look out for her driving impressions soon. "The new Jimny not only shares many of the design cues of its forebears – the LJ, SJ and Jimny – it also shares their engineering ethos of providing a no-compromise off-road capable vehicle that is accessible to everyone. "In the absence of many affordable 4x4 vehicles, this philosophy of building a compact and capable off-road vehicle at an affordable price is now more needed than ever. 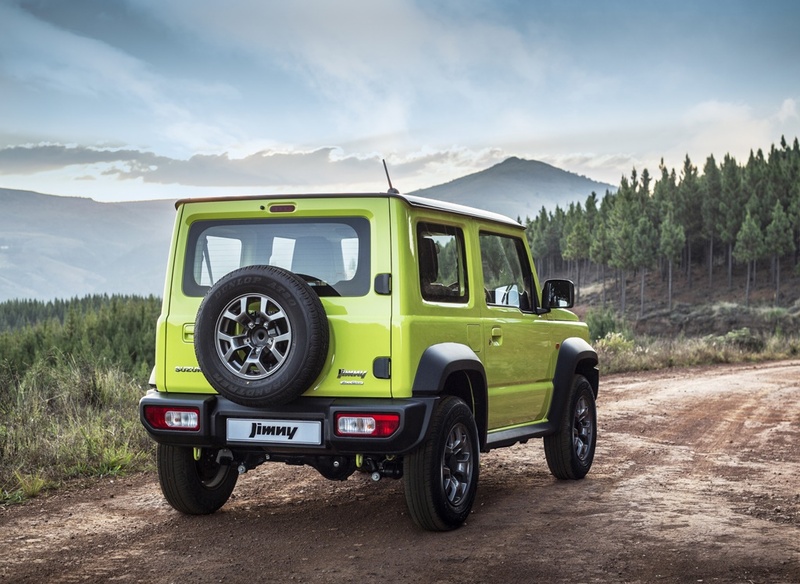 And it has seen the Jimny quickly log multi-year waiting lists in many of the countries in which it has been introduced," says André Venter, divisional head for sales and marketing at Suzuki Auto South Africa. Venter explains that every one of the four generations of the Suzuki Jimny has kept to the same design brief. Build a compact, lightweight, affordable off-road vehicle with true 4x4 capabilities. In the new generation, this is in its most concentrated form, thanks to the Jimny Chief Engineer Hiroyuki Yenezawa’s philosophy of “making the Jimny more attractive by refining every small detail of the model’s design." The spare wheel is fitted to the rear door for easy accessibility, while also freeing up space underneath the luggage floor and allowing for an improved departure angle. Fans of the Jimny series will also recognise the design of the GA specification’s steel wheel, which looks similar to those from previous generations. The new engine has a higher compression ratio (10.0:1) and greater thermal efficiency to deliver more power, while using less fuel. The new engine is rated at 75kW/130Nm. Fuel consumption on a combined cycle has been tested at 6.3 litres for the manual models and 6.8 litres for the automatic model. In contrast, the previous generation Jimny was rated at 7.2 litres and 7.8 litres per 100km respectively. All versions of the Suzuki Jimny have air conditioning, power steering and the complete ALLGRIP PRO 4x4 system with Brake LSD, ESP, Hill Hold Control and Hill Descent Control. The GLX models get a host of additional features, including climate control, electric windows and mirrors, Auto LED projector headlamps, remote central locking and cruise control. 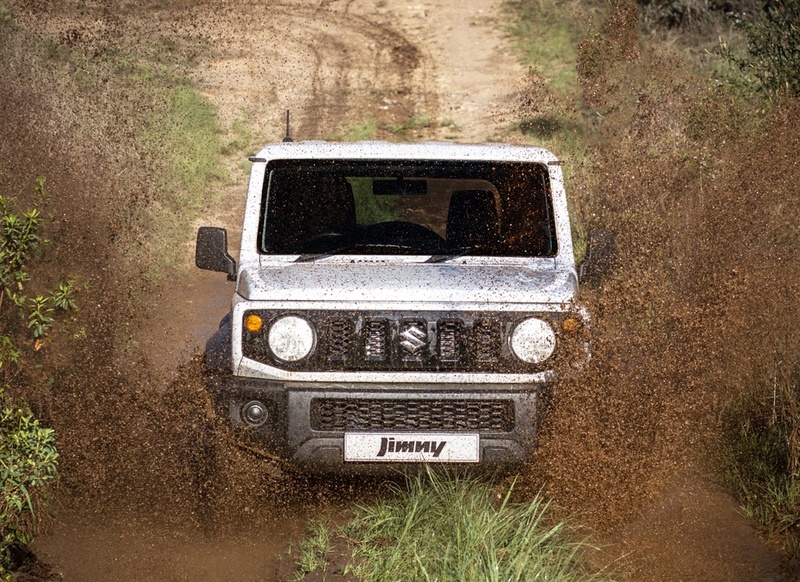 Like all Suzuki models, the Jimny is priced to be accessible to as many people as possible. The GLX model is standard with a four-year or 60 000 km service plan and the GA model with a two-year or 30 000 km service plan. All models are sold with a five-year or 200 000 km mechanical warranty.